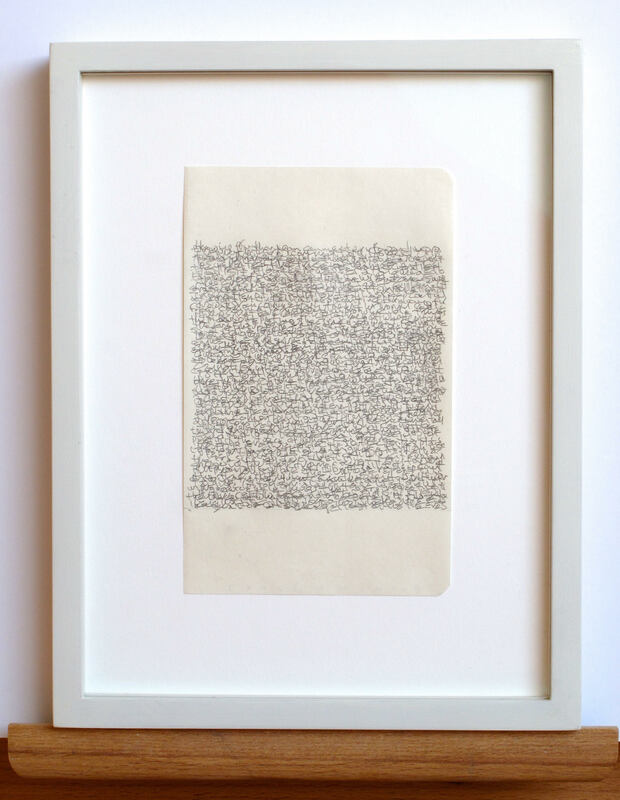 ELAINE SEXTON: I’m interested in the impulse behind your move from the delicacy and intimacy of “drafts of an empty page” to the charged climate of these newer “word drawings.” Would you describe how the first project came about, and something about the shift in sensibilities to say something in the way of words? How do you draw an empty page? The series grew to include actual size drawings of the various notebooks and graph papers in my possession. Eventually, I began to draw the empty pages of other artists…. Ellsworth Kelly, Louise Bourgeois, Joseph Beuys and others. Eliminating so to speak, their writings, drawings and paintings from the page. My primary work in the studio is drawing and painting. 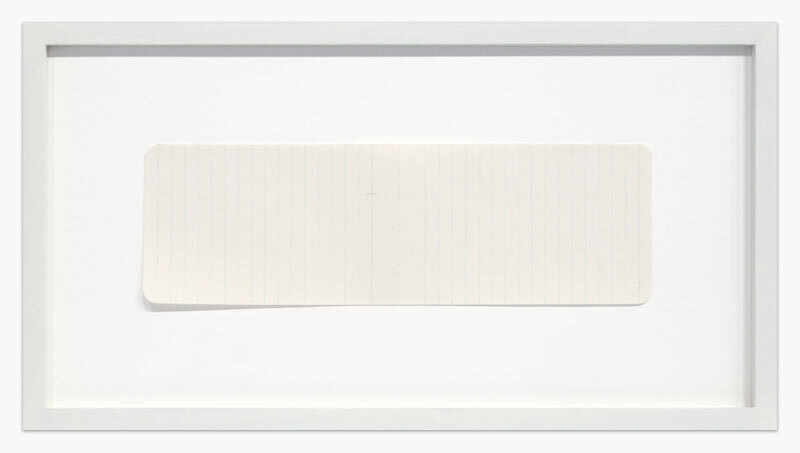 The work is modest in scale, reductive, minimal but always with some evidence of the hand and process. I’ve drawn for years with graphite and mechanical pencils. I paint with gesso and oil on birch panels. Both the drawings and the paintings are based on right proportions, precision and erasure. 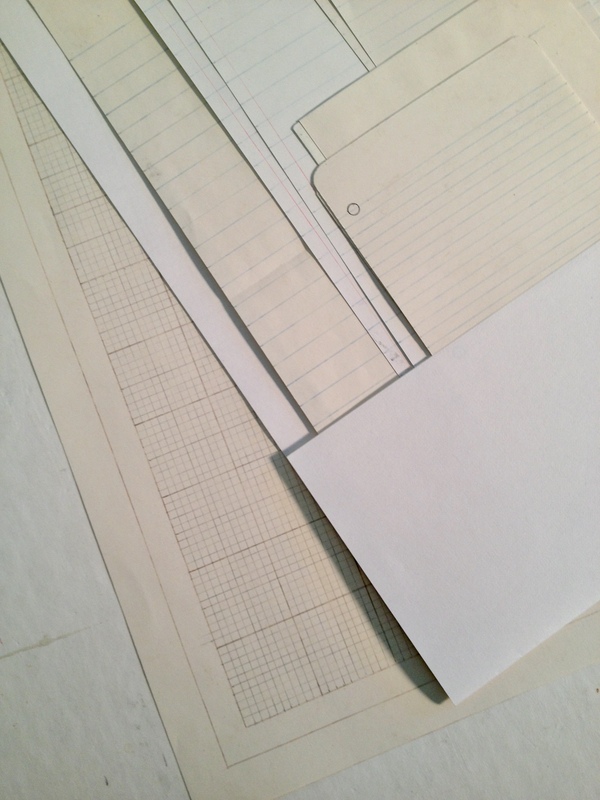 I think now, that laying out drawings of lined notebook pages, with their predetermined measurements, was a much needed reprieve from the exploratory drawings I had been doing for a long time. Drawing an empty page is a meditation. With every drawing I know exactly what I’m going to do. Reading and writing has always been an important part of my day in the studio, but it wasn’t until I bought, on a whim, a beautiful green Olympia typewriter (circa 1957) off the street in Providence RI, that the typed texts began. They are in the form of lists under the series: “When Someone Asks”. Below are titles from some of the Lists that have been written. The “Word Drawings” which followed the Lists, are an inspirational nod to the small notebooks of Walter Benjamin and the microscripts of Robert Walser. They are based on small poems I write. Each poem is written in pencil over and over on a selected composition on the page until it is unreadable. The text of the poem is attached to the back of the frame of each drawing. 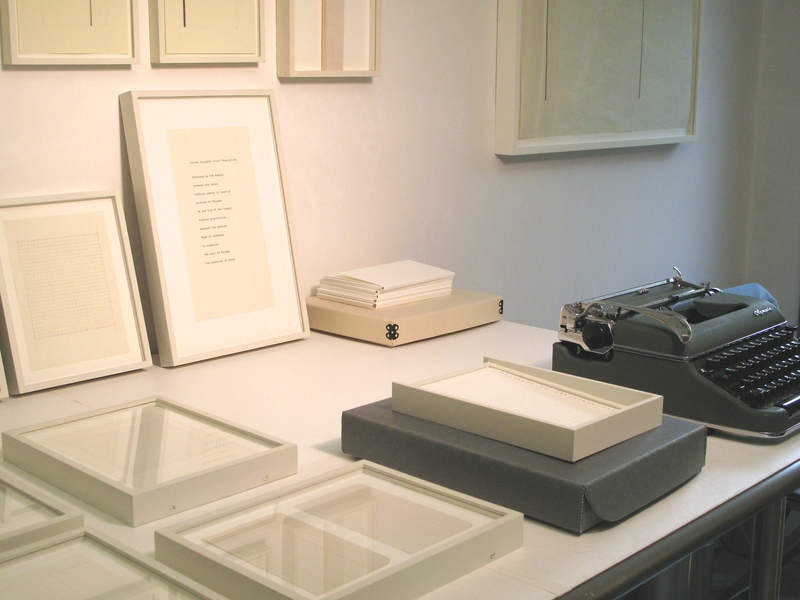 The poems are untitled and are usually six to nine lines. Bronlyn Jones’s work has been exhibited in solo and group exhibitions nationally and internationally. Her work is included in numerous private and public collections including; Harvard Museum of Art, Cambridge, MA, RISD Museum, Providence, RI, Colby College Museum of Art, Waterville, ME, The Museum of Fine Arts, Houston, TX, and others. Her work is represented by Krakow Witkin Gallery, Boston, MA. Bronlyn lives in Mid Coast Maine. All work is Courtesy of the Artist / © 2018 Bronlyn Jones, images courtesy of Krakow Witkin Gallery, Boston.